24 Hour Translation is one of the largest and longest established Dallas translation services. Our Dallas translation company is distinguished by its depth of knowledge in a broad range of industries. With more than 20 years of providing Dallas certified translation solutions in Spanish, Portuguese, French, German, Chinese, Russian, Arabic, Italian and more than 30 other languages, we draw on our years of experience. Highly skilled and certified translators to help our clients navigate the increasingly complex landscape of global communications. Since our clients’ most difficult projects often cross borders, we work alongside our colleagues in offices in Texas and throughout the world to ensure linguistic accuracy that is localized for regional markets. Our clients include local, national, and international companies, as well as trade associations, government agencies and other organizations. 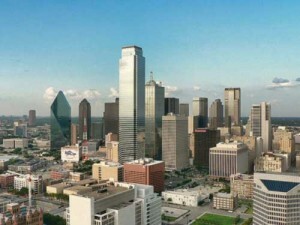 Why Choose Our Dallas Translation Company? Our certified Dallas translation company distinguishes itself by the exceptional translations we provide, the value we offer, the speed in which we deliver and, most importantly, our translators. Our customers depend on us to deliver excellence when translating challenging content within the most demanding time constraints. Regardless of the linguistic challenges presented, our strengths of experience, professionalism, competence and dedication allow our clients to reach their multilingual communication goals. No hidden fees! Proofreading is free! Whether you need to translate your catalog into Chinese or translate your college transcript into English, you can trust the accuracy of our translations and our commitment to meeting deadlines. Often, we can complete small projects, including birth certificate translation, marriage certificate translation and divorce decree translation jobs in a few hours. Request your free estimate now. The Dallas document translation pick-up location is open from Monday through Friday from 10AM-7PM and Saturday from 10AM-3PM. Call ahead to arrange pick-up. Communicating your message to global audiences demands a Dallas translation company that can meet your multilingual translations needs. 24 Hour Translation is a full-service provider of document translation, multilingual voiceover and multilingual video captioning services. Whether you are building a new website, repurposing video content, designing a new brochure or publishing a new training manual, 24 Hour Translation is ready to assist you. Our Dallas Translation Services office is particularly skilled in translating employee handbooks, manuals, training guides, surveys and everything else you need to lead your multilingual workforce. 24 Hour Translation in Dallas translation offers language translation solutions in more than 40 languages. Our most popular languages include: Spanish, French, German, Arabic, Portuguese, Brazilian Portuguese and Angolan Portuguese, Italian, Canadian French, Quebec French, Japanese, Korean, Vietnamese, Chinese or Simplified Chinese, Traditional Farsi or Persian, Urdu and Polish. The most prestigious law firms in Dallas trust 24 Hour Translation for their legal translation needs. That’s because we’ve been around longer than other companies, provide accurate translations, come highly recommended and offer reasonable pricing. We are also one of the few legal translation companies in the metroplex to offer certified and notarized translations. Whether your legal translation requirements call for one page to be translated or 100,000 pages, we offer superior translation expertise, low pricing and fast turnaround times. In fact, marriage certificate translation, birth certificate translation, and divorce decree translation projects can often be completed in a few hours. Call the Dallas translators of 24 Hour Translation for a free estimate. As a leading Dallas legal translation provider, you can trust us to provide the finest quality legal translations by sworn translators in the Dallas-Fort Worth metroplex. Our Dallas Translation Company provides certified and notarized translations of contracts, business filings, marriage certificates, birth certificates, divorce decrees, diplomas, transcripts, licenses, agreements, legal contracts and other official document translations. We can also assist you if your document requires authentication through an apostille from the secretary of state. Our low-price translation fees and incredible value make us a top choice of businesses, law firms and individuals in Texas. We also provide USCIS-certified translations and certified translation for emigration to other countries. If you need a birth certificate translation, marriage certificate translation or divorce decree translation fast, call us now! To meet legal and professional requirements, translations must be certified and notarized to be accepted by courts, governments, universities, businesses, organizations and other governing bodies. 24 Hour Translation is a Dallas certified translation service that notarizes and certifies translations to meet the broadest set of requirements and to ensure your translations will be accepted anywhere you are asked to present legal document translations. Nearly everyone needing a certified translation will eventually require an original copy of the translation with original signatures from the translation company. A simple PDF copy of a birth certificate translation, marriage certificate translation, divorce decree translation or diploma translation will not meet the requirements for immigration and other legal uses. While an electronic copy may be suitable for the initial submission, you will be required to provide an original hard copy translation of your certificates. Because we are based right here in Dallas, you can arrange to pick up your files once they are complete. The Dallas-Fort Worth metroplex has outstanding colleges and universities, including the University of Texas at Dallas, the University of Texas at Arlington, and Southern Methodist University, in addition to outstanding community colleges representing the Dallas Community College District, the Collin Community College District, and Tarrant County College District. If you seek admission under an F1 student visa and have coursework and academic records, including report cards, diplomas and transcripts in another language, you must provide a certified diploma translation and a certified transcript translation. These translations must be translated by a certified translation provider. 24 Hour Translation is a Dallas certified translation provider that can meet your needs. Not all universities accept certified transcript and diploma translations from other translation agencies. As an established Dallas certified translation service, we have worked with admissions officers from every college in Texas to provide certified diploma translations and certified transcript translations. The table above lists some of the many excellent schools to which we have provided certified diploma and transcript translations in the past. Most Dallas translation services outsource their projects to unscreened and unproven translators. These Dallas translation services commonly upload your confidential documents to public sites where anyone can view your files and offer low bids to translate them. This is a dangerous and reckless way to treat your sensitive and confidential information. At 24 Hour Translation, we have our own translators who have been thoroughly screened and tested. Furthermore, most of our Dallas translators have been with us for more than 15 years. During this time, our history has never been blemished by confidentiality breaches. This is why thousand of customers trust our birth certificate translation, marriage certificate translation, divorce decree translation and diploma translation services. 24 Hour Translation understands the importance of precision and providing translations in Dallas that are free from error. Quality begins upfront by collecting the necessary information to translate your job. Next, your project is carefully evaluated and assigned to the most appropriate translator based on their education, certified credentials, skill level and prior experiences. Once the project is complete, it is evaluated by a second translator and then given to the client for final approval. Finally, a certificate of translation accuracy or affidavit of translation accuracy is completed, signed by a translator and notarized. Whether you need Spanish Translation service, Chinese translation service, French Translation service, German translation service, Arabic translation service, we offer, we offer the best translation solution. Our services include technical translations, medical translations, legal translations, financial translations, academic translations, immigration translations and more. We also provide certified translations of birth certificates, marriage certificates, death certificates, and divorce decrees for immigration purposes and other legal matters. Call (214) 550-0151 for a free quote or email us at info@24hourtranslation.com. Save 15% on professional Spanish audiovisual subtitling and voiceover services! Limited time only! Our talented team has produced professional voiceovers for industry giants, including PepsiCo and Coke.